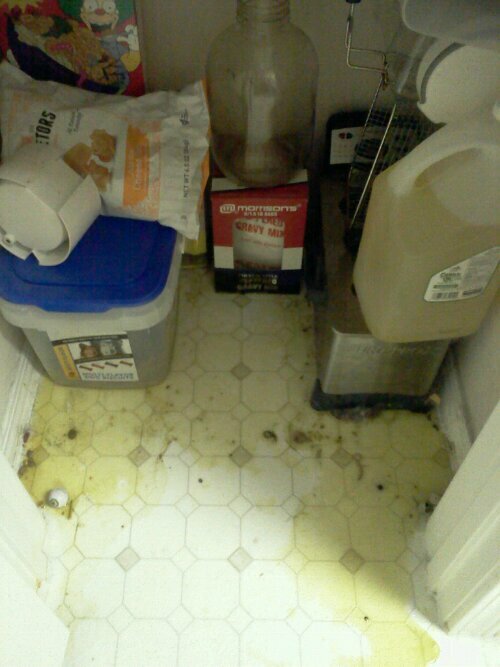 I seriously broke down sobbing over the mess. I’ve started cleaning it but I think I need to wait for Love to help with the rest. It’s just getting to be more than a one person job with the amount of damage. Of course, I’ve called him twice and he’s not answering so I’m just here sobbing on the kitchen floor by myself feeling utterly overwhelmed. Seriously a complete breakdown crying. (On phone so can’t log in) oh nooooooooo how horrible!! 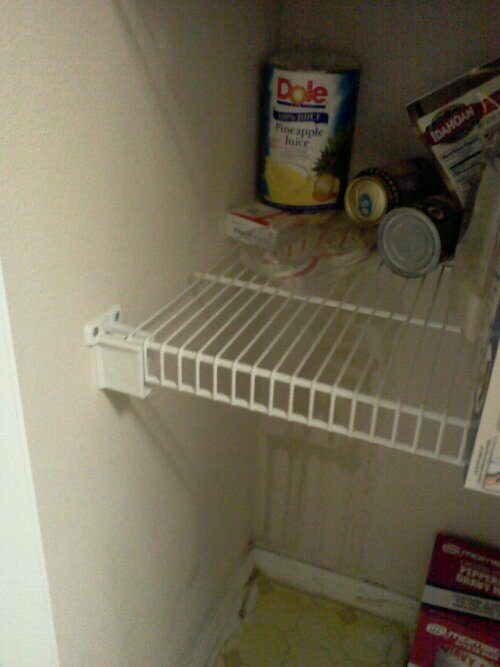 A can of Dole pineapple exploded in my cupboard recently too. 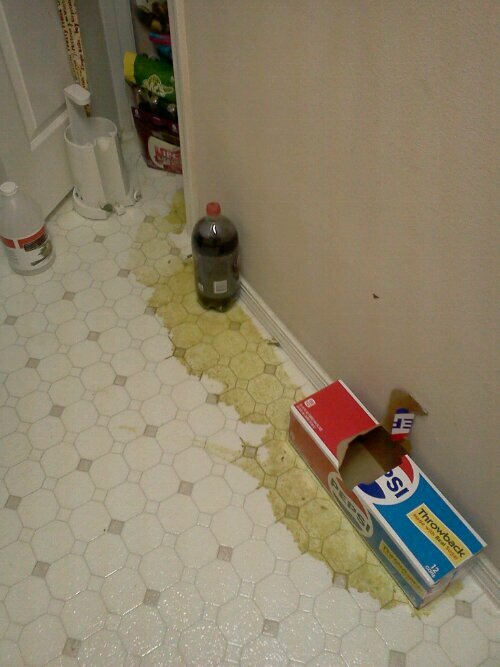 I complained to Dole, saying they should put a warning on the can that it will explode if forgotten. They said you let it expire serves you right. Can you blame them? Would you buy canned pineapple labeled “May explode after expiration”? *chuckles* Well at least I’d be less likely to forget about it if it did! !